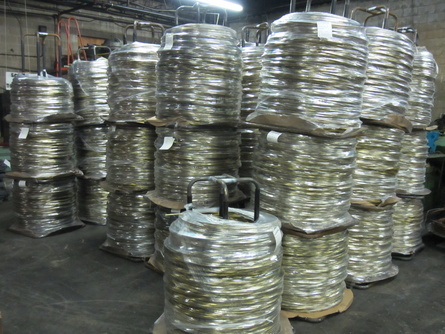 Below are the sizes of Brass and Silicon Bronze Cold Heading Wire that we keep in inventory. We can supply up to.884 diameter both in Brass and Silicon Bronze. All wire shipped on free wire carriers with appropriate mill certifications.